Man this summer has gone by so quickly. Was it only a few months ago that I made these summer goals for my kids? Sadly, not much was checked off. But for the first time ever, we as parents gave our son a summer allowance. And boy did I learn a few things. 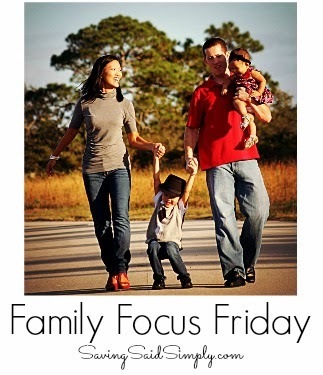 For our Family Focus Friday I am talking about what a summer allowance taught us. Hang on tightly. So here’s the deal. My husband and I wanted to get my son learning and earning this summer. What a better time to learn about money than during the summer. The value of a dollar. At 6 years old, we knew our bright son was capable of a lot. A little hard work, counting money, help around the house, patience. 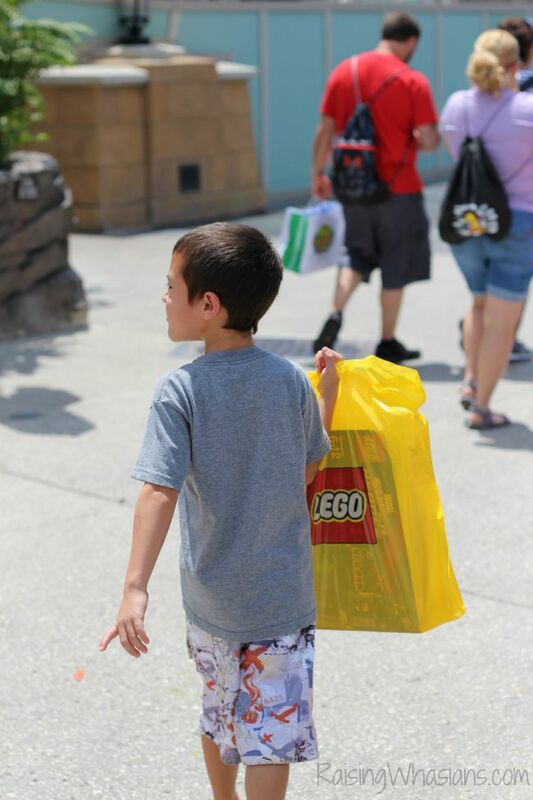 Oh yeah, and a serious love for Legos. It sounded like a win-win to me. But it was much more than I had anticipated. I mean I knew this guy was smart…but dang this boy is like an elephant! He knew the EXACT great moment to ask for his daily allowance rate of a quarter. Like prize moments such as when I’m sitting on the potty, changing a diaper, out on a play date, in front of strangers. And this is even during times when he perhaps conveniently “forgot” to do his chores. I told ya. Smart. I’m getting old. Really old. At times there would be days that passed and I completely forgot to pay up. Or how much I owed. Or what color the sky was. The point is, paying and teaching about allowance wasn’t perfect, especially on my end. This was probably the hardest part about allowance and kids. We definitely are in the society right now where kids just “expect” to get something instead of earning it. And as much as I wanted to believe that my son is from a different mold, it was tough to take in that he thought he deserved money for the day, just because he was there. Ouch. Unlike #3, this was definitely the easiest part of the allowance, much easier than originally thought. 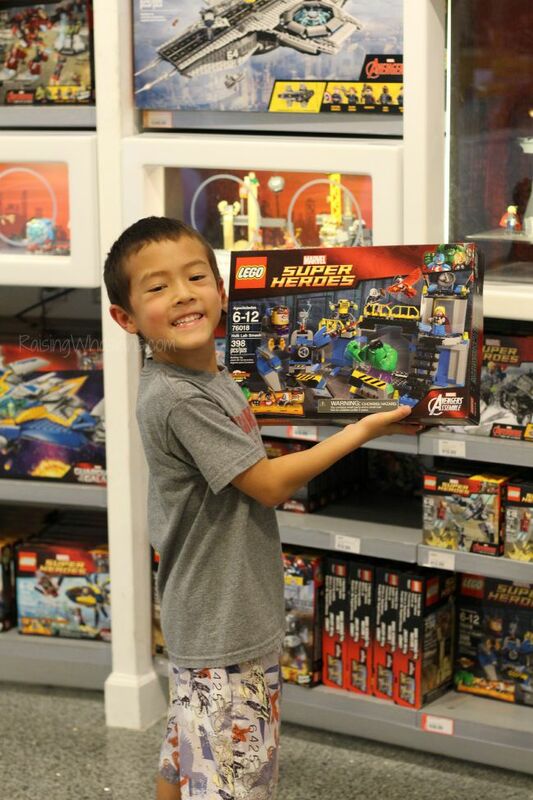 Put a child in a situation about something they care about (like earning enough money to buy a Lego set at the end of summer), and you’ll be surprised how quickly they learn. Counting pennies, dimes, quarters, dollar bills, my son really enjoy watching his earnings grow. The pride and the satisfaction was definitely a highlight for me. Not just for the Lego boy. This mom had to learn patience with her son asking about every day if he could buy his set NOW. Then times that by 2 months. Patience. God was definitely teaching me patience. So much more so than my little man. This week, we finally got to reap the rewards. 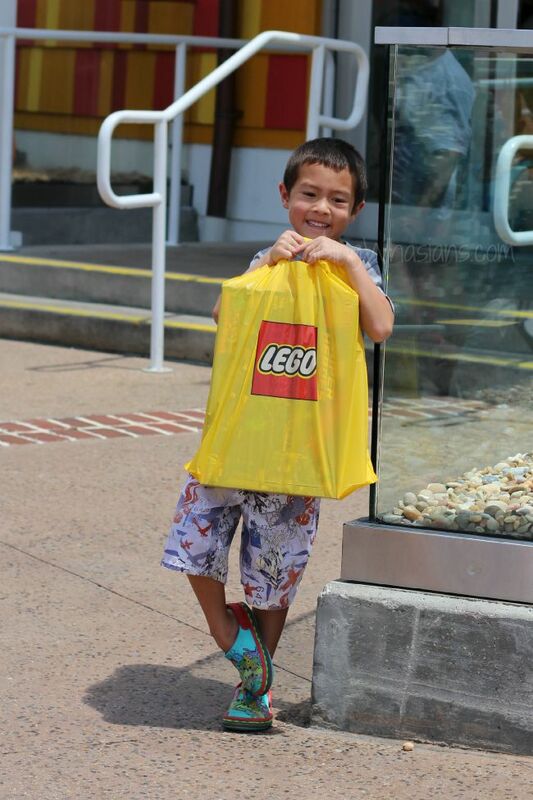 A trip to Downtown Disney, a hand full of dollar bills, and the awe on this guy’s face…a summer allowance was completely worth it. I watched with fascination as he looked, analyzed and finally picked the set. 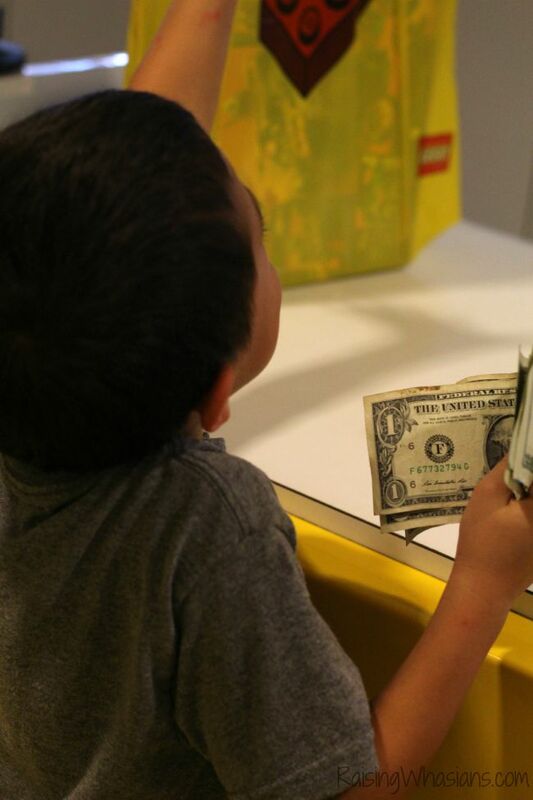 I choked back tears as I watched him pay the man while chattering about how he earned the money for his toy. I smiled at my private secret of knowing that all the way back to the car he proudly held and carried his bag…without one complaint of how heavy it was. What did a summer of allowance teach me? That every moment of watching him grow is worth it. Every penny. Do your kids get allowance? What has it taught you? Be sure to follow Raising Whasians via Facebook, Twitter, Google, Instagram, Pinterest and YouTube for more of my mommy brain thoughts. I love this post! Our kids earn money for specific jobs and are learning to negotiate the cost of each job based on time and effort required to complete it. So far they’ve been adding their earnings to their piggy banks for a future purchase or to add to their bank accounts, but I like the idea of saving up for a specific purchase on a shorter term so they better understand what they’re saving for. Great idea! I’m sorry to say, my parents and grandparents just “gave.” Being an only child I wasn’t required to earn. Something I had learn later. I love this! My kids aren’t old enough yet but when they are they will get an allowance and will learn the value of money.